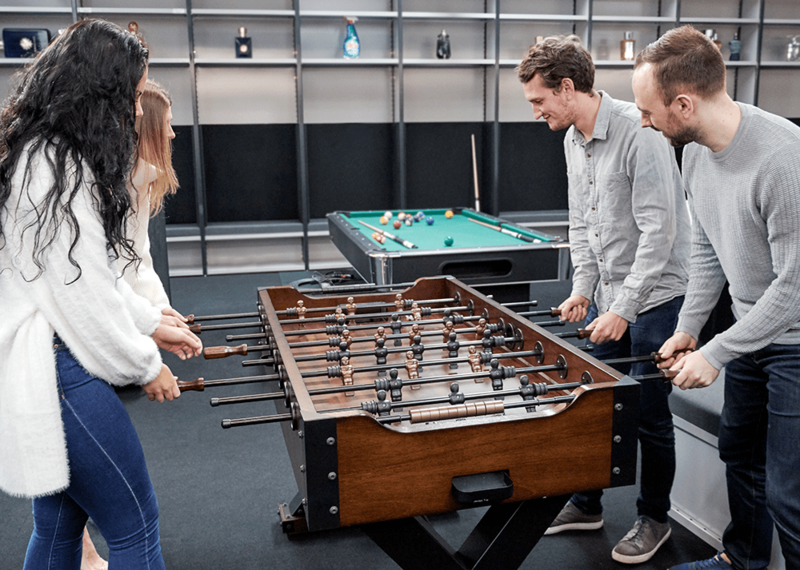 When the worlds of technology, supply chain, design and editorial collide, you get a really diverse mix of people and a wide range of talents working under one roof. That’s exactly what makes Escentual so brilliant. 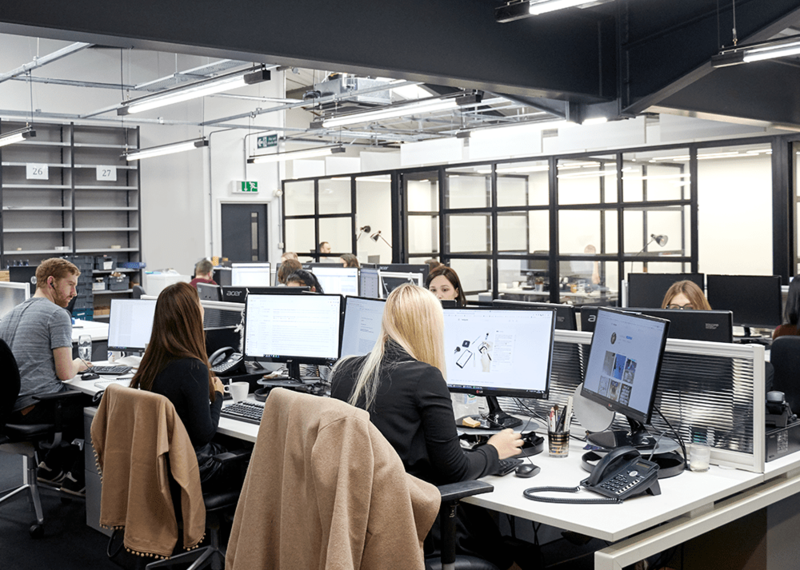 Our multi-skilled team is hardworking, collaborative and innovative – and it just so happens to be behind one of the most celebrated beauty e-commerce sites in the country! Although we specialise in selling makeup, skincare, fragrance and body care from the world’s most luxurious brands, you don’t need to be a diehard beauty fan to be a part of Team Escentual; our talent has been shaped by all sorts of education paths, work experiences and life experiences. We’ve studied everything from computer science and accounting through to journalism and business studies – and the best thing is, if you’ve got an interest in a certain area and you’re a passionate self-starter, there’s opportunity to learn and grow in all sorts of areas of the business. I studied Computer Science without a clear idea of what I wanted to do. I thought I’d figure it out along the way, but didn’t, so when I finished I took a little time and started a part time role in the Escentual warehouse to keep rent paid. My previous student job in a supermarket covering department managers had given me a core understanding of operations, and when my part time role in Escentual’s warehouse soon became permanent as I tried to learn as much as I could about the business. I’ve never been content with the how, I’ve always wanted to know the why; so I’d challenge myself to learn/change something small every 3 months, then something big every 6. As time progressed I learnt everything I could about all the different areas and departments of an E-Commerce business, leading to the Senior Manager role I have today. My working day today as a result is never the same as I move from forecasting next year’s beauty launches and discussing new betas with Google to exploring new picking algorithms in the warehouse. Advice wise: get involved, learn the why, solve people’s problems, set new procedures and move onto the next one. Challenge yourself to always be learning and never be afraid to be wrong. If you’re wrong for the right reasons, you’ll learn faster and see bigger improvements over time. I studied English Literature at Cardiff University, and was lucky enough to land a job at Escentual a week after I handed in my final essays. I’m a Copywriter, so instead of writing about Chaucer or Shakespeare, these days I write about all the beauty products that are about to hit Escentual’s ‘What’s New’ page. It’s fast-paced and no two days are the same! Writing is a passion of mine, and I still feel like I have to pinch myself that I can do something I love for a living. If you love writing like me and want to crack into the online beauty retail industry, I really recommend creating a blog or even joining a writing society. Not only will it demonstrate your passion, but it’ll help you to hone your writing skills and you can bet that it will make you a stand-out candidate to employers, too! I studied at Cardiff University and finished with a 2:1 in Computer Science. I then came to work here with the help of placement officer Catherine Teehan from comsci careers and employability, as she knew Rakesh (Escentual’s CEO) and suggested me for an interview as I suited what he was looking for. I’m currently specifying requirements and researching the best technologies to use for a new business application, with the aim to help different teams collaborate and manage product launches while also maintaining and improving efficiency of the current systems in the business. My favorite thing about working at Escentual is the balance between a friendly and professional environment, as well as the encouragement to work under your own initiative whilst receiving advice and guidance when appropriate. My biggest advice to students would be to use the resources the university offers you in terms of work placements and help with gaining graduate roles. They’re there to help and Catherine in particular is very approachable for Computer Science students. Other than that be sure to do more than enough research into the companies you apply for as it helps you become (and shows that you are) enthusiastic about working for the company beforehand , which naturally comes across well in an interview. Hello! My name is Darina Nikolova and I study at the moment BSc Econ International Relations and Politics with French in my 3rd year. I started working at Escentual during my first year (2016) as one of the temporary staff employed through Jobshop. On my first day, I was trained how to do picking, which is an essential part of the warehouse dispatch system. Every shift I was thought something different. I found it to be a very relaxing job, without stress, providing you with the opportunity to really balance studying a full time degree and building skills on a professional level. It is definitely a win- win situation in which you give your best and the company also gives you back. Recently, I was new role of Operations Supervisor and I owe everything to hard work and commitment. I studied Hospitality and Institutional Management at Cardiff University many, many moons ago before I embarked on a career working in hotel event sales, telecommunications sales and before settling into a very successful recruitment career. In my spare time, I set up my own beauty, fashion and lifestyle blog and a few months ago took the plunge to change my career by doing something I’m truly passionate about and this is when I started working for Escentual as a copywriter. I write the product descriptions for the website and love finding out about all the latest beauty products, this really is my dream job and the best advice I can give someone starting out their career is that it’s okay to not ‘know’ what you want to do early on in your career, sometimes it’s about trying new things and gaining experience to lead you to something you’re truly passionate about. I am doing a Software Engineering course at School of Computer Sciences. I started working at Escentual during a busy period through Jobshop, and since I kept coming back, I asked for a contract and stayed. When the company started restructuring the warehouse I was asked whether I’d be interested in the supervising position, and I agreed. I’d say the part I like the most is team I work with. Unlike many places, like the Escentual warehouse has a young team made mostly of uni students, and while managing your peers might sometimes be challenging, it’s a very satisfying and interesting job.